When it comes to the important things in life, there's a "first time" only once. I wish I could say I recall the first film I ever saw, but that event has long since faded into the blur of childhood. Now that I'm old enough to keep track of such things, I've sadly come to realize that most films I see are strictly one-night stands. The "first" time is usually the "only" time. Fortunately, there is an eclectic group of films that deserve a special place in my pantheon of first times—films that mark important moments in my evolution as a filmmaker. Of all my first times, there'll always be my best first time. Dziga Vertov's, Man with a Movie Camera not only intoxicated me with the magic of filmmaking, but was the first film I'd ever seen that I wished I had made myself. Considering the fact that I hadn't yet made a film, I knew I had just seen something profound and unsettling. Here was a film that seemed to embody everything I could ever hope to accomplish in films of my own one day. It left me tremendously inspired. And really jealous. Made in 1929, it's part experimental essay, part documentary, part portrait, part cine-poem and part city symphony—a virtuoso, cross-genre film that speaks fluently to filmmakers of all denominations. Filled with visual rhymes, perceptual jokes, self-referential gestures, and a temporal structure transfigured as musical form, it's also a day in the life of a city interwoven with the rhythms of the life cycle—a lyrical compendium of images from birth to death. Simply put, Man with a Movie Camera is as close as I've ever seen to a film about everything. Man with a Movie Camera taught me how to think cinematically; how one person alone with a camera could find beauty, meaning and metaphor simply by immersing in the flow of daily life—and looking around. For Vertov, the city was a studio, his visual laboratory, an unending source of transcendent detail and surprise. But it doesn't stop there. The film is a virtual catalogue of image-making—shots move forward, backward; they're animated, superimposed, layered, enlarged, fragmented, slowed down, sped up, frozen. And the way it's all put together makes it one of the most sophisticated films ever made. The role of editing is revealed as a process of discovery, a means of creating a flow of thought, a cross between the logic of language and the energy of music. 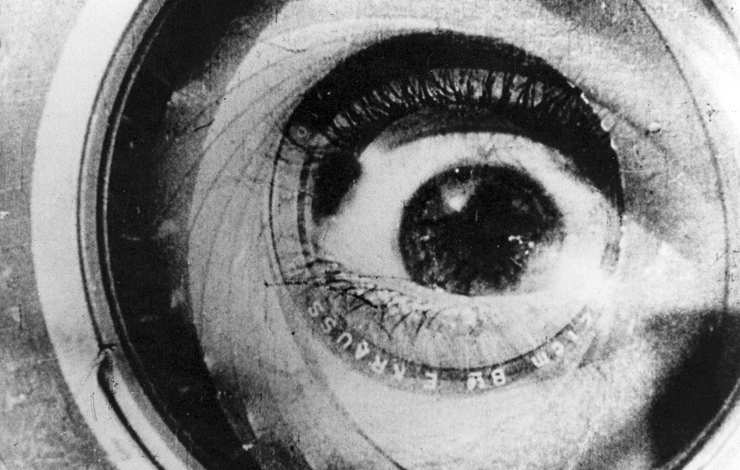 Man with a Movie Camera unfolds as a series of visual equations, inviting the viewer to participate in the process of making connections between images; it is the cinematic textbook for learning the mathematics of montage. Vertov has created a newsreel for the ages, a film that's avant-garde both politically and aesthetically. His "Kino-Eye" manifesto advocated a radical politics of revolution and reinvention in the ardently futurist rhetoric of the era. He found the tool of his vision in a machine-the movie camera-and its most elegant expression in Man with a Movie Camera. Created in the spirit of celebrating proletarian dedication—an ode to work—it made me forever think of filmmaking as a field of play, never as a job. And to this day, every time I see it, I'm tempted to run outside with my camera and begin my own city symphony. Alan Berliner's award-winning films, The Sweetest Sound, Nobody's Business, Intimate Stranger and The Family Album have been broadcast all over the world and honored at top international film festivals.